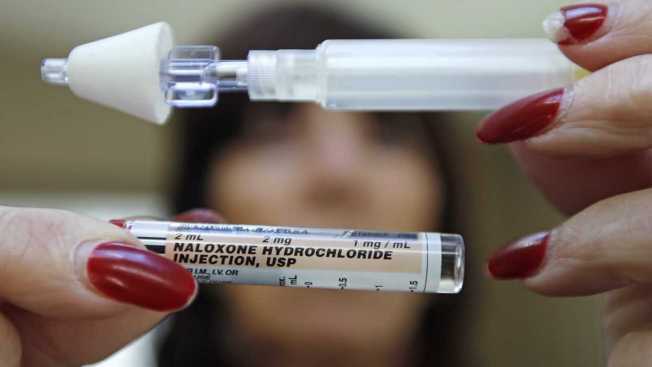 A woman holds up a tube of Naloxone Hydrochloride, also known as Narcan -- a nasal spray used as an antidote for opiate drug overdoses. District schools in Nashua, New Hampshire, will reportedly start stocking Narcan in an effort to fight the opioid crisis in the state. The Nashua Telegraph reports that the Nashua Board of Education approved the decision Monday evening. Narcan, also known as naloxone, helps reverse overdoses.